This Michele bracelet is designed for Deco collection watches to give your timepiece a sharp look. 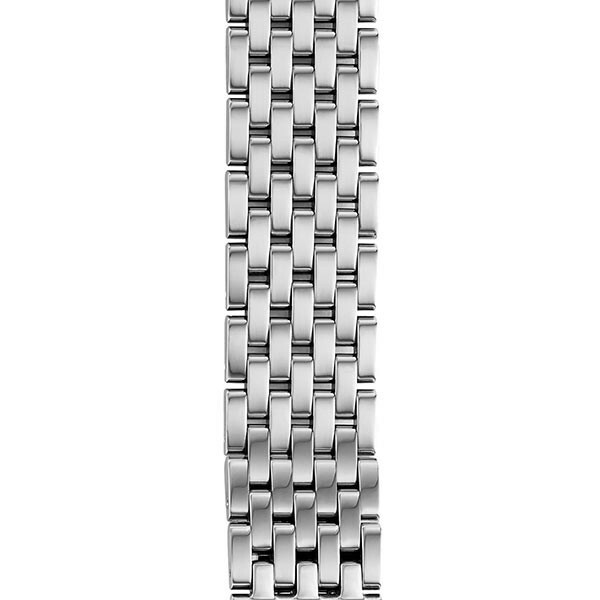 Seven rows of smooth, stainless steel links create this pristine 18mm bracelet, and the Michele logo is stamped into the bracelet's clasp. This Michele bracelet is fabulous at any age! JR Dunn has a 10-day satisfaction guarantee for all Michele watch products.